Direct Resource, Inc. was established in 1989 as a Minority Business Enterprise (MBE) to serve dentists, medical facilities, schools, and state/county facilities with their purchasing necessities. We are a small, family-owned business with a friendly, dedicated staff committed to your needs. Our employees specialize in knowing the specific aspects of our products, along with possessing general knowledge of all of our product categories as a whole. Additionally, our customer support team would be happy to assist you in any way with price quotations, order processing, vendor relations, or order shipment. Today, we offer over 500,000 products representing thousands of manufacturers. We are a one-stop-shop for all of your purchasing needs, ranging from hardware to medical, janitorial, office, personal care, and even specialty items. Not only do we have relationships with over 100 suppliers (including major names such as Rubbermaid, Colgate, Proctor & Gamble and more), but we also maintain in-stock items such as Duracell batteries, gloves, personal hygiene products, and medical supplies. Our 20,000 square foot integrated office and warehouse facility in Central Ohio allows us to better serve you. 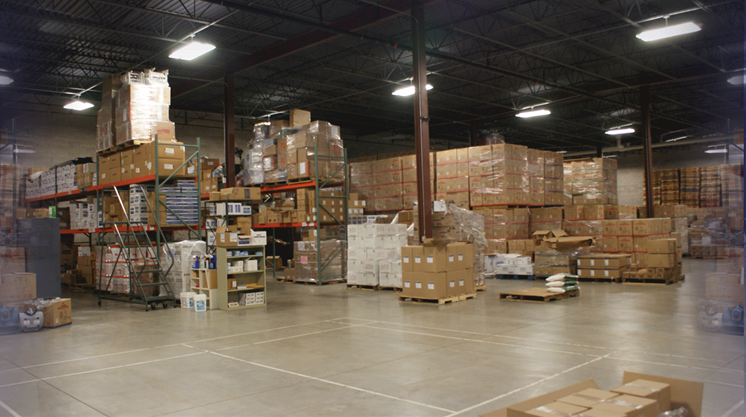 Not only does our warehouse provide storage for inventory stock, but it also serves as an ideal staging area for convenient customer pickup and fast and efficient outbound shipments. We're a company with a low overhead. We have no "sales people", no commissions, and all those savings get passed directly on to you. Unlike larger corporations, customers aren't just numbers to us. We don't inflate our prices—in fact, we guarantee you the lowest prices around, and that's a guarantee you can count on. Our aim isn't just to sell you things. Our aim is to provide the best services possible to support your procurement needs.